Pop quiz folks – what resembles a Rolex Submariner watch, says “SEIKO" on the dial, has a screw-in crown and costs a fraction of the price of the watch that it pays homage to? No prizes for guessing, it’s none other than the Seiko SKX031K – Seiko’s timeless tribute to the Rolex Submariner. The SKX031K has been around for over a decade (it debuted in 1996 with the introduction of the 7s26 automatic caliber) and sales of this model appears to be still going strong despite its age in the market. It took me several months to consider one of this timeless classics from Seiko, albeit its design isn’t entirely original (after all, it is a homage to the Rolex Submariner) and I thought the SKX031K would fill the gap between my 200m, ISO-certified Seiko divers and my dressy Seiko 5 timepieces rather nicely. The SKX031K and its Pepsi-bezeled SKX033K are Seiko’s only tribute models to the Rolex Submariner. 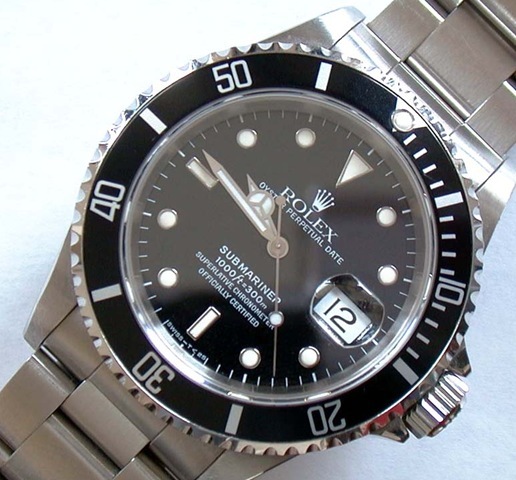 There are several watch companies that also produce homage Submariner watches. Invicta, AMF, Sandoz and Orient are some of them that have these look-alike models. In case you didn’t know, a homage watch is not a replica or fake watch. Basically a homage watch borrows some design influences from the original watch without infringing on copyright and trademarks of the patent holder. To the untrained eye, both the Orient and the Rolex appear similar but there are subtle variations in detail between the two. For the rest of this review I will enclose the term "Submariner" (in quotes) to denote a homage Submariner. Unlike the other homage watches, Seiko’s SKX031K tries to retain as much design originality as possible while giving the “flavor" of the Rolex Submariner. 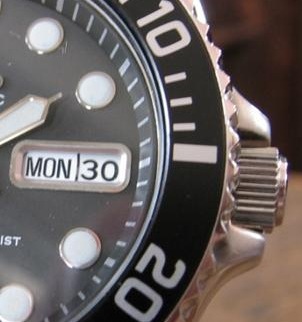 Probably in an effort to avoid copyright infringements, Seiko decided to use the hour and minute hands from their SKX007/SKX009 diver instead of the famous “"Mercedes-style" hour hand. The watch company also altered the dial design of their “Submariners" in a way, perhaps to protect themselves from legal infringements. This is to say that Seiko doesn’t have the Mercedes-styled hands in any of their products – in fact they have incorporated such hands in a few Seiko automatic models that don’t resemble the Rolex Submariner. To my initial confusion, Seiko offers two versions of the Submariner. I found out that there was also the mid-sized version of this watch – the SKX023K which to the uninitiated, could easily be misconstrued as the full-sized SKX031K. Fortunately, I recalled the SKX031K sharing the same hour and minute hands as the evergreen SKX007 diver and politely told the store owner that it wasn’t the watch I was looking for. I found out that few authorized Seiko watch dealers in Malaysia sell both models simultaneously. Unless you do a proper side-by-side comparison in the same store, you may not notice the not-so-obvious differences between the two. Before we continue with the review, let’s first scrutinize the characteristics of the SKX031K and its smaller cousin, the SKX023K. As you can see from the photos above, both the SKX031K and SKX023K appear to share the same dial layout with the same styling of hour indexes, dial fonts, framed calendar window and bezel markings. The unofficial nickname for the SKX031K is of course, the “Submariner" while its junior cousin is simply referred to as the SKX023K. Going by popular culture, the Seiko “Submariner" is the full sized SKX031K. From what I’ve noticed in the watch forums, more Seiko enthusiasts prefer the normal-sized SKX031K to the mid-sized SKX023K. 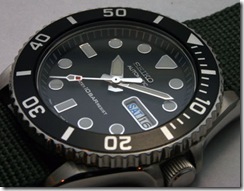 To illustrate the SKX013K diver, here are two photos of the watch. The SKX013K, being an ISO rated diver’s watch, retails for much more than the SKX031K “Submariner". 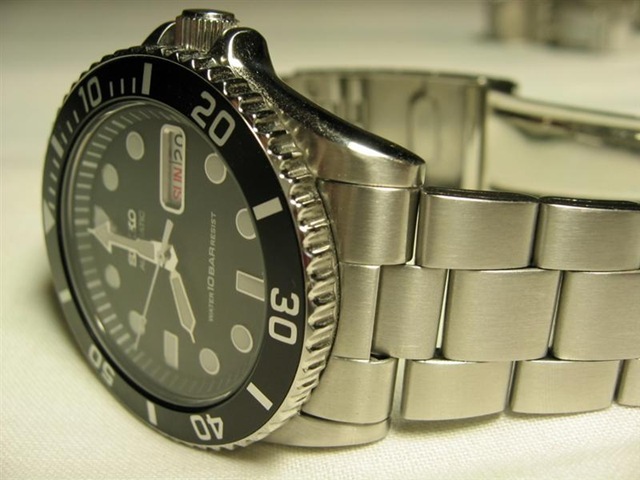 You could say that the SKX013K is a miniature version of the full-sized SKX007K diver. Top: As you can see, the SKX013K is more like a junior SKX007 diver. This is a true diver’s watch, unlike the SKX031K. At present there are only two color variations of the Seiko “Submariner" – the black SKX031K and the dark blue dialed SKX033K with the blue/red “Pepsi" bezel. These two models are Seiko’s continual best-sellers, particular in the Asian market, which explains why after a decade they are still produced by Seiko’s overseas factory in China. 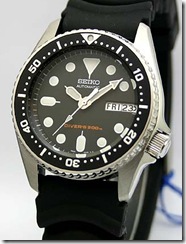 You may be interested to know that Seiko used to have the “Made in Japan" versions of this watch, also known as the SKX031J. The “J" versions (along with the Pepsi SKX033J) appeared in the mid 1990s but for some reason was later discontinued, leaving only the “K" models in production today. Top: A rarely seen SKX031J. Note the extra dial text “21 Jewels" and “Made in Japan" on the dial. 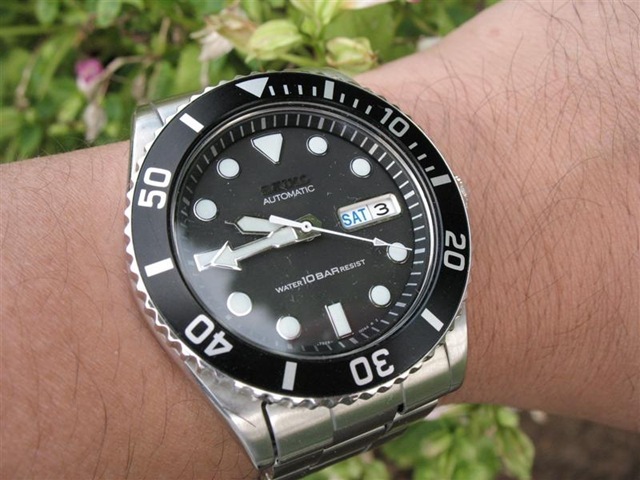 Availability of Seiko “Submariners" on bracelets or rubber straps usually depend on the authorized Seiko dealer’s decision to bring whichever model that they feel is more saleable. From my personal observation, the SKX031K/033Ks on sale in Malaysia usually are fitted with the Oyster-style bracelets. I don’t recall having spotted any that came on the Z-22 rubber strap. The SKX031K is a rather handsome watch albeit Seiko’s efforts not to make it look too close to the Rolex Submariner. It is exudes both classiness and sportiness and is equally at home at formal functions and for casual outings. The dial is easy to read and I like the framed index markers which matches the framed calendar window. The white painted second hand ensures good visibility even in the dimmest environment. 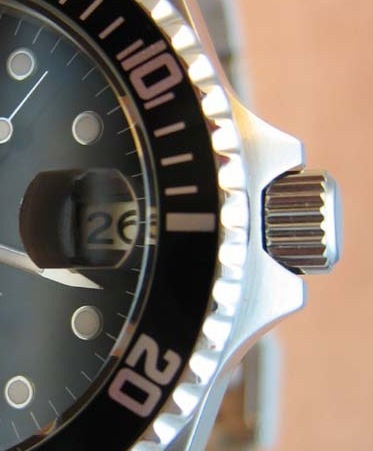 The screw-in crown is sort of an unorthodox feature for a 100m-rated, sports watch. Did I already mention that the SKX031K is a sports watch? Although some people refer to it as a “diver", it’s actually a diver-like sports watch. The SKX031K’s form factor falls somewhere in-between a large diver such as the SKX007K (if you could call the 007K large, that is) and a diminutive Seiko 5 dress watch. 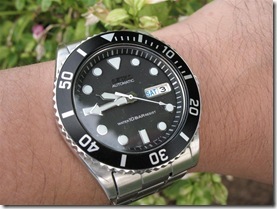 It is definitely small when compared to the mammoth looking Titanium or Stainless Steel “Samurai" divers and the SBDC001 Sumo certainly dwarfs it. The watch seats well on my wrist and doesn’t flop around. Its modest thickness of only 11mm makes it easy for you to wear it under long sleeved shirt cuffs. Top: The framed, chromed index markers of the SKX031K makes it extra special (left). Another angle of my Seiko “Submariner" (right), showing the 22mm folded link bracelet. 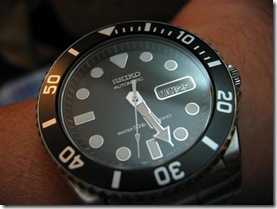 The Seiko “Sub" dial and hands are coated with medium-grade LumiBrite. It’s about as bright as the SKX007K diver and falls short of the fierce luminosity of the SKX779K Monster. 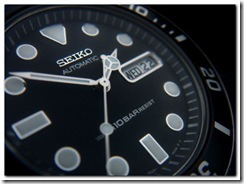 Visibility in the dark is quite acceptable – certainly better than the lume used on basic Seiko 5 models. 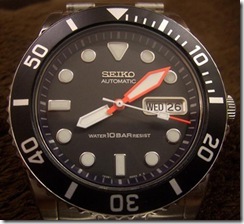 What I find a bit odd is that Seiko used "10 Bars" instead of the usual "100m" to denote the watch’s water resistance. Japan Domestic Market (JDM) Seikos typically use Bars instead of meters for their non-diver models. The SKX031K is definitely not a JDM model (although this watch can be found in a few specialty watch stores in Japan) but an international market model. 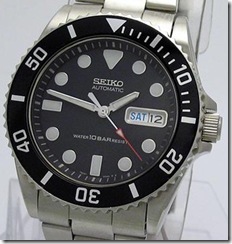 Seiko always uses meters in place of Bars for their non-JDM, non-diver models. I’m out of educated guesses and can offer no explanation. Only Seiko Japan’s marketing people may be able to shed some light on this strange practice. The bezel is the bi-directional, 60-click type which means that you can only measure elapsed time to the nearest minute. The bezel rotates with positive clicks, not too loose or firm but unfortunately the markers aren’t aligned precisely. I believe this is a common complaint with the Seiko “Sub". 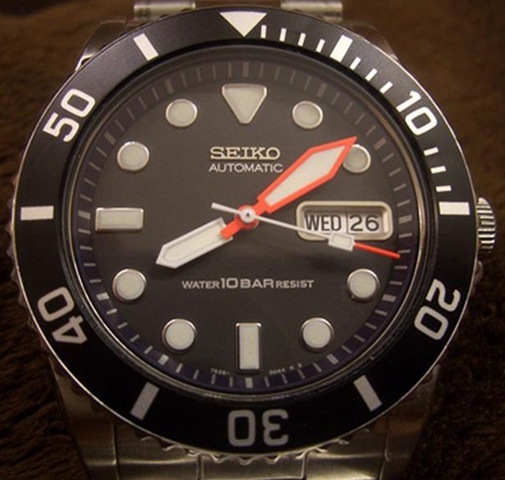 It would have been better if Seiko had chosen a uni-directional, 120-graduation bezel instead with a luminous dot on the 12 o’clock triangle marker (in the SKX031K, the marker is unfortunately not lumed) – after all, most of their Seiko 5 Sports 200m models (which are not ISO-rated divers) are endowed with 120-click, single direction bezels. The factory bracelet is unfortunately the folded link (44G4-BE) type with a simple flip-lock safety catch on the clasp, presumably to cut costs. It’s a shame that considering the Orient 2ER00001B comes with solid links. The mitigating factor is that the 44G4-BE bracelet’s clasp has a good number of micro adjustment holes which makes tweaking to your wrist circumference a snap. I think it is possible to retrofit the SKX031K’s bracelet with Seiko’s better (48A2-JG) 22mm solid link Oyster bracelet that comes standard with the Seiko SNA225P 7T62 quartz chrono. 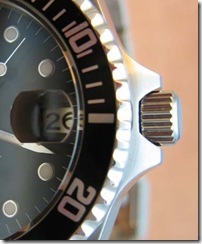 The end pieces from the 48A2-JG will not fit the SKX031K’s lugs due to different profiling. You’ll have to remove the 48A2-JG’s end piece links and use back the SKX031K’s original end pieces to circumvent this. However, the downside of the 48A2-JG’s bracelet is that it only has two micro adjustment holes, which makes perfect sizing rather tricky. The knurled crown is flanked by a pair of softly beveled crown guards. The guards are not as sharp like the original Rolex Submariner or even the Orient 2ER00001B “Submariner". 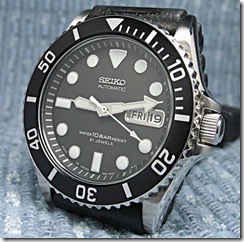 For a 100m rated non-diver’s watch, Seiko thoughtfully included a screw-in, locking crown. 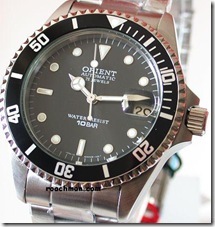 I’d say that Orient’s "Submariner" has a better looking crown and guards – closer to the Rolex Submariner’s. I like the SKX031K’s crown – it’s easy to grip and not that fiddly to screw it back in, using the popular “reverse-threading" trick. The caseback is a rather plain affair, with a highly polished surface with the traditional Seiko “wave" symbol in the center. When I bought the watch, the Seiko protective blue sticker was was glued onto watch and I had a tough time scraping it off. The end result was in lots of minor scratches in the process. Fortunately since the caseback is a polished, mirror finish, I managed to remove the marks using Autosol, a well-known German-made metal polishing product. It should however be noted that Autosol is a super abrasive compound and should never used on brushed finish surfaces of a watch, e.g. the clasp of a bracelet, which is usually brushed. 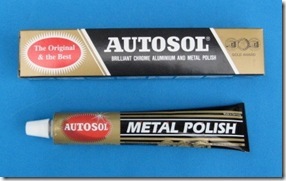 Above: The Autosol metal polish works wonders on scratches on smooth, mirror finishes. Do NOT use this on brushed finishes! It’s worth mentioning that of all the stainless steel backed watches in my collection, the SKX031K sometimes gives me a rash if I wear it for too long without taking it off. I remember reading another SCWF member echoing my sentiments – he experienced the same problem too. 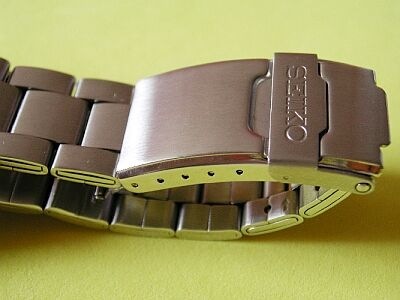 Seiko’s watches are supposed to be made of 316L Grade stainless steel but I wonder if Seiko used an inferior quality stainless steel with unusually high nickel or chromium content for the 7s26-0040 models. Some people are allergic to nickel or chrome on their skin but I’m not sure which element is responsible for the rash on my wrist. There are not many owners of this watch who mod the SKX031K, compared to 6309-704x and 7s26-0020 divers. I guess like me, most prefer to leave the watch as it is. 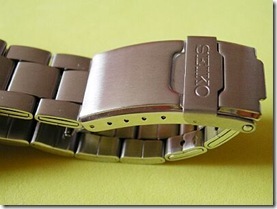 However, for your personal enjoyment here are some photos of modded SKX031Ks that I’ve collected from the Internet. Most of the modifications below are subtle, involving a simple swap of watch hands but a few adventurous owners went for all-out dial replacements. 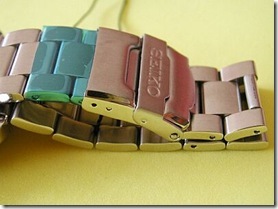 Many off-the-shelf parts from the Seiko 7s-caliber family (such as certain Seiko 5 models) can be used in place of the original components. 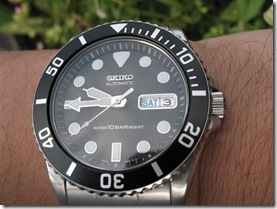 Third party mod suppliers such as Bill Yao, Noah Fuller and Yobokies can also provide aftermarket custom parts for the SKX031K. I still find it strange that I get the odd compliment on this humble Rolex Sub-lookalike from my acquaintances, although I’d be happier to wear a "better" watch like my SBDC001 Sumo for example. Sometime in late 2004, I attended an office luncheon with some of my friends. I was wearing the SKX031K at the time. Ironically, the compliment came from a woman, who was a colleague of my friend. I noticed that she was staring at my SKX031K for about 30 seconds until she finally spoke up. “What’s that watch that you’re wearing? It looks very nice! Could I see it a bit closer?" 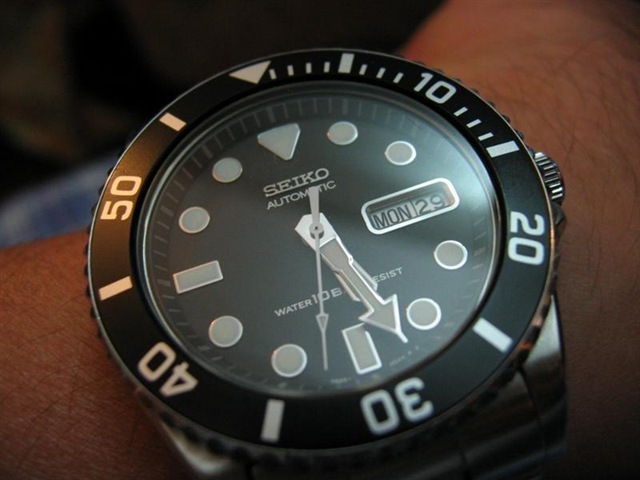 “It’s not what you think it is – it’s actually a cheap Seiko automatic watch, really! ", I stammered in embarrassment. She looked at it for a little while and said, “Well, that IS a very nice looking watch that you’re wearing. I really thought it was a Rolex!" Another real life experience was very recently, when I happened to be wearing my SKX031K "Submariner". A new acquaintance of mine, who is an entertainment industry lawyer by profession regularly goes to the same local Starbucks joint that I do. We’d be there four times a week at night, bringing our laptops along to do our work sitting at separate tables. When he had finished his work, he would usually come over to my table and have a chat with me. My friend knows that I’m into watches and he had seen me wear a different watch each time. However, he’s not much of a "watch person" and didn’t seem to be the least interested in my watches. It struck me as odd when he saw the Seiko "Submariner" that he appeared to be more interested in what I was wearing. I took it off my wrist and showed it to him – "This is what we call the Seiko Submariner". He expressed surprise, saying that he initially thought it was a Rolex Submariner. I took the opportunity to show him the hordes of SKX031K photos I had in my laptop and told him that it was a homage watch. He asked me how much it cost and his eyes widened slightly in amazement when I told him how much I paid for it. Obviously it was much less than he had expected. I find this watch interesting as it serves well as a daily beater or the occasional wristwear. Although I don’t wear the SKX031K as often as I do nowadays but it’s a keeper for me. Would I buy this watch again? Yes, unreservedly. The fact that the SKX031K is still in production after a decade since its first introduction attests to the popularity and continual demand for this homage Rolex Submariner, especially in Southeast Asian markets. If there’s something I noticed about the Seiko company, if they’ve struck gold with a particular model they’ll continue to produce it as long as there is sufficient, on-going demand. Nicely designed Submariner homage watch without looking too "Rolex-like"
Wow, great depth and a model review. I’ve just been looking harder at this watch the last few days. My SKX009 is very well made, and looks great, but it is top-heavy on my wrist (very tippy) and won’t fit under shirt cuffs, which basically makes it a non-work watch. The 031 is more Invicta 8926-sized, and that watch fits fine under cuffs. Like you, I am disappointed that it does not come with a solid bracelet, though on the low end Seiko often skimps on bracelets compared to several other makers. My other disappointment is that internet prices are a bit high, the only option for us Americans. I bought my ISO rated 009 for less than I can get an 031. Thanks for your comments. 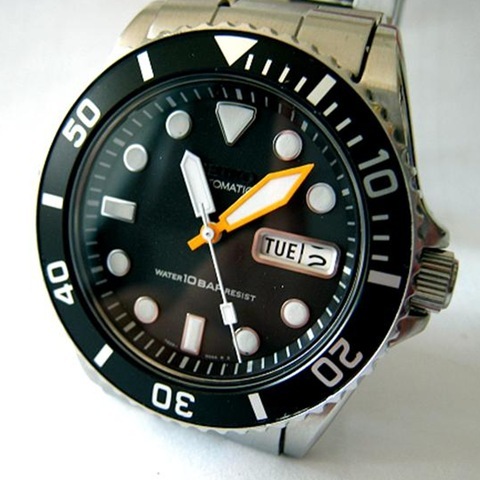 The 7s26-0020 divers like your SKX009K is obviously a “function-over-form” design therefore sits high on the wrist. It tends to tip over unless you wear the bracelet or strap really snug. I wholly agree with you that the SKX031K should’ve been fitted with a solid Oyster bracelet in the first place. Seiko could have easily done it and I guess it was aiming for the low income, mass target group and not watch enthusiasts – so cost cutting was in order. Thanks for the very informative & interesting review. On a rare business trip,about 2 weeks ago I visited the Mustafa Centre in Singapore with the aim of buying the 031 but unfortunately it was out of stock. The 023 was available but I find it a tad too small and ended up with the 033 (pepsi version of the 031). Then just a couple of days ago I went to the shops in Pertama Complex, KL (TQ, again to your posts)and found that one of the shops had the 023 & 033 but was out of the 031 as well. So, any suggestions where I can get a 031 in KL or PJ ? Contrary to what I read in the internet, prices of these models of Seiko are quite reasonable in Malaysia compared to those in Singapore. That trip south was really quite unnecessary. Thank you for your comments. The fact that you missed out buying the SKX031K “Sub” at the Mustafa department store either meant that it was a perpetual best seller or there just wasn’t enough stock to go around. You’re likely to find the SKX031K at the older watch stores in KL and PJ. Newer stores usually don’t bother to carry models like the 031K and its counterparts. I might suggest that you try to look for it at Syarikat Jam Waktu, located in Sungei Way Subang, off the Federal Highway or any of the watch stores in the PJ New Town/Old Town areas. If all else fails, bid on the eBay stores I mentioned in my post above. Thanks, any chance of finding the Orient submariner here ? Just retired my folex sub which I bought in HK about 4 years ago & which had been my daily beater. The accuracy was about 5 secs per day and it could be hacked, all for about HK320. Yes, the Orient 2ER00001B may be found at some older watch stores in the Old Town part of PJ that are Orient dealers. You can also check out Sungei Wang Plaza in Kuala Lumpur. The black Orient “Sub” is pretty hard to find compared to its blue dialed counterpart. Maybe the black one is more popular. Years ago I was told by a watch dealer that the Orient company was ticked off by the Malaysian Rolex distributor (Woo Hing) for allegedly copyright infringement but it could have been mere hearsay. 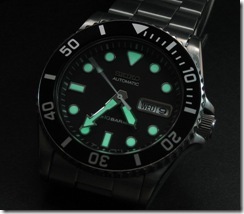 That said, the Orient’s lume is pretty weak compared to the Seiko SKX031K’s lume. 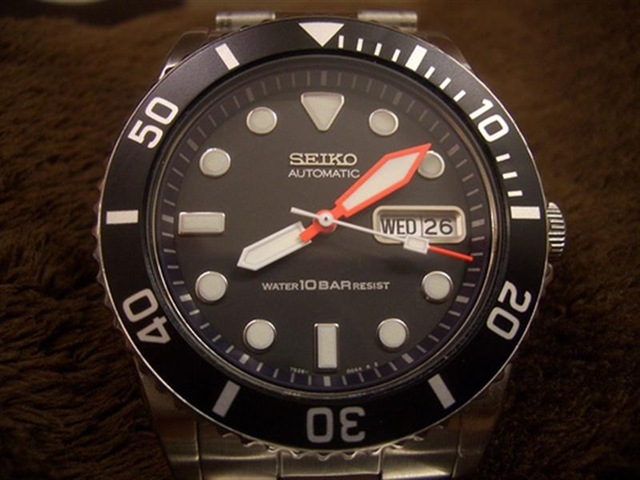 Is there any way to find out if my Seiko 7S26-0040 is a faked Seiko? Everything looks perfect in my watch but it only last about 14 hrs if I do not wear it and put it on the table. Does not the automatic movement suppossed to last aver 32 hrs when not in use? Where can I sent it for inspection or perhaps repair if it is a real Seiko. I cannot tell if your watch is a fake unless you send me pictures of your watch. (Use the “Ask Quartzimodo” contact Form to email me. For anti-spam reasons, I don’t publish my email address in my blog). If your Seiko Submariner is a genuine one, I think your main spring is faulty – it may have got tangled up somehow. This may explain why your power reserve is low (I assume that you wear your watch at least 8 hours a day) about 14 hours only. Send it to the nearest Seiko repair center in your country OR have it inspected by a professional watch repairman who is familiar with Seiko 7s automatics. Thanks for great review! I am looking for watches like this. 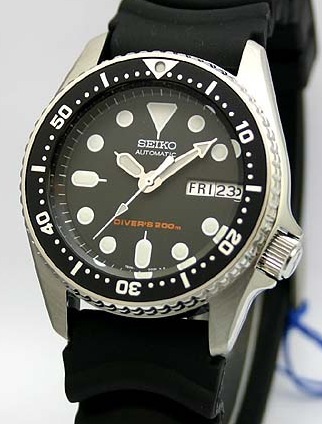 I like also Seiko Monster but this seems too big for me and I feel that SKX031K is good compromise for me. Design of the Monster is excellent and I also like its great lume which can last through whole night. Do you have an idea whether lume on SKX031K will last this long too? I am not sure if Seiko used the same grade of Lumibrite for both watches. Thank you for your comments.  Actually the Monster is no longer a large watch by today’s standards as Seiko has started a trend producing oversized diver’s watches. lol. The SKX031K’s lume is the same type used on the SKX007K divers, only there’s less of it applied onto the index markers. The lume will last through the night, except that it wouldn’t be as visible as the lume on the Monster (or Sawtooth) models. To answer your question, the Monster’s lume is more sensitive and glows brighter. thanks a lot for your answer. Is the difference between Monster and SKX031K due to larger area of lume paint on Monster or rather due to thickness of the paint? Brightness of the lume is not issue for me. I just want to be able to see whats time even in early morning. So it neednt to be bright but at least legible. What you mean by “more sensitive”? The Monster has thicker index markers than the Submariner therefore there’s more lume material per square inch. Paint thickness does affect the luminosity too but normally watch manufacturers regulate the thickness of the lume paint. The Seiko Submariner is technically not a diver’s watch but a sports watch (unlike the Rolex Sub). The hands and dial markers are legible throughout the night but are not as bright as the Monster’s. Seiko has two grades of LumiBrite – the standard white lume which gives of a deep greenish glow and the higher specc’ed one with the off-white, creamy hue. The higher grade lume is used on Monsters, Sawtooth, Knight, the SBCB and SBDC-series Prospex divers. This lume is much more sensitive to light, which means you don’t need very strong light to charge the lume, compared to the other type of lume. thanks for excellent explanation! 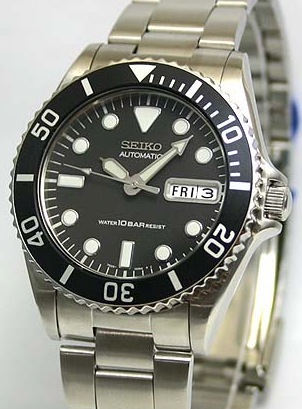 I understand now that Seiko puts better lume grade into its diver watches which have more robust build. 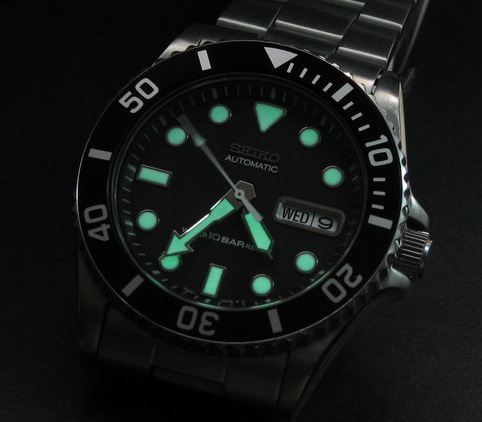 However “semi-diver” lume should also be OK for me. Do you have experience with Citizen’s lume? Is that comparable with Seiko’s? Citizen also have some nice pieces with good movement which I like. Citizen uses two types of lume – the older green type (weak and dim) and the new blue superluminova type, on their new Eco Drive models (including divers). The blue lume initially isn’t as bright as Seiko’s Monster-type lume, but they fade more gradually than Seiko’s LumiBrite. Actually, there’s no hard-and-fast rule as to Seiko’s choice of their better grade LumiBrite. 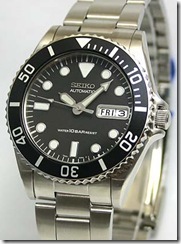 The stainless steel and Ti Samurais are considered “robust divers” but they’re not endowed with the Monster-like lume. Happy New Year to you, sir! thanks again for your answer. Where did you figured out information about lume paint? I am not able to find anything on this for individual Seiko models. One thing you must know about LumiBrite – it should last a lifetime provided that the dial and hands are never exposed to moisture or water. Great and very useful reviews at all. How is your wrist size actually? So, your answer would be very helpful to me. My wrist is approximately 6.5″ in circumference, a rather common size by Malaysian standards. I can tell you that the SKX171K is of “medium proportions” if you compare it to the even larger Seiko divers (like the SBDC00x “Sumo” diver) or the trendy fashion watches from Nautica and Guess. You should have no trouble with any of the 7s26-002x diver family, which the SKX171K is a member of. They’re all of the same dimensions. I wonder if you can go swimming with these non-ISO rated sports watches? BTW, I managed to get an SKX009J on Rubber for less than RM650!!! I am a big Seiko fan but I also have two Orient world timer automatics too.  I would say overall both the Seiko SKX031K and the Orient CEM2ER00001B Submariner are on equal terms. The Orient Sub is much closer in styling to the Rolex Sub while the SKX031K has its own distinct flavor. When the luminosity of both watches are compared, the SKX031K Sub wins hands down. Accuracy-wise, some people say that Orient automatics are slightly more accurate out of the box, compared to the 7s26 used in the SKX031K. I found both the black Orient submariner (21jewels)and the black Seiko SKX031 (23 jewels) in Ipoh! Now I dunno which one to buy! The Orient Submariner that I saw looked SMALLER compared to the Seiko. Hmm… was wondering if there is something wrong witht the size? These things come in various sizes for our local market? The black Orient sub is generally harder to find than the Seiko SKX031K (it actually has 21 jewels, not 23 as it’s a 7s26 powered movement), if you like both I’d recommend that you get the Orient first and the SKX031K later. AFAIK, the Orient Submariner (model # 2ER00001B) comes in only one standard size. It’s a homage to the original Rolex Sub and if you’ve ever see one, you’ll find that the Rolex isn’t really that large at all. However, the SKX031K’s hands and dial are brighter in the dark than the Orient so if luminosity is a deciding factor for you, get the SKX031K instead. 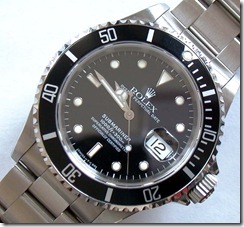 btw, so for the diameter w/o crown, skx31> 2ER00001B = rolex sub? 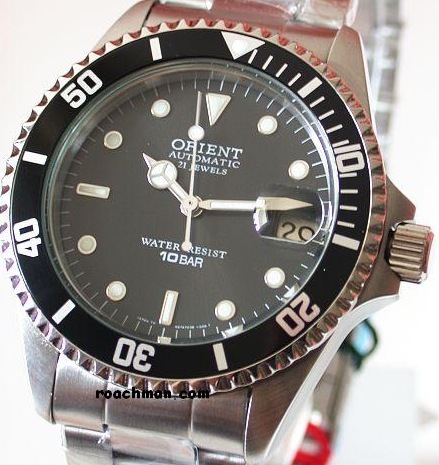 Is the watch size SKX31> Orient sub = Rolex sub then? can you do a orient sub review? Really love your reviews keep it going well done! I have that black dialled orient submariner for 6 years now. It has never left my hand since the day I got it. However i have change the bracelet to a nato strap because the bracelet is too flimsy and uncomfortable. The clasp even pinched my skin. The accuracy have been amazing, at least for me. It gains 3 minutes every two month,which is acceptable as I have to change the date every two months and re-adjust the time while I’m at it. I’d say if you want to buy this watch, go for it. 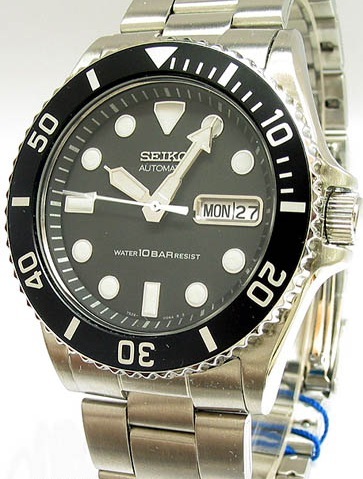 Sadly for me, I’m so in love with big seiko divers watch but I can’t buy them because I’m a one-watch-one-time guy. Therefore, I have to wait for (maybe another 15 years?) my orient submariner to die before I can get my hands on those seiko divers. I hope you won’t mind my interjecting. The problem is that fifteen years is too long to wait. 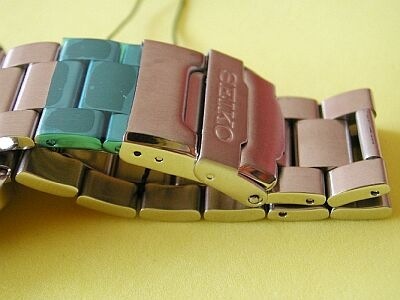 Nobody knows when Seiko will discontinue the watch that you like. Watches are not like technological devices (the longer you wait, the better and cheaper the future models will be). For example, in 1996 analog 8mm and VHS-C tapes were the reigning standards for consumer video cameras. These days videocams use DVD-R, DVD-RAM, hard disk and SD/Memory Stick Pro Duo card media and have gotten smaller, cheaper and have better features like full HD resolution. That is quite true with what you said. Maybe one day the black monster will cease from productions and will turn out to be like the legendary 6309. Oh man, you are really good with your words to let me buy one,lol. 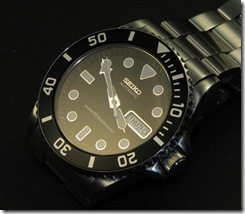 Anyhow, my last time visit to the watch shop has been dissapointing, looking back at the latest design from seiko. Most of them are like “designer’s watch” and they fail to amaze me. The only one that caught my eyes were some of the automatic divers from seiko and citizen. I guess if I didn’t grab them now, I might not be able to have them forever. I really like your blogs and your style of review writing. By the way, do you have anything against orient? I can’t find any review on orient watches from you. Let me know why. Thanks for replying. Not true that I have anything against Orient. They’re great watches, but I like Seiko’s styling better. In fact, I also own two Orients myself, but I only chose Orient’s Caliber 46 automatic world timer models. Since the long discontinued 6117 and 6217 world timer calibers of the 1970s, Seiko has never made mechanical world time watches. You can find radio controlled, quartz and Kinetic Seiko world timers, but not automatics. I’ll do the reviews of my Orients, but not that soon. 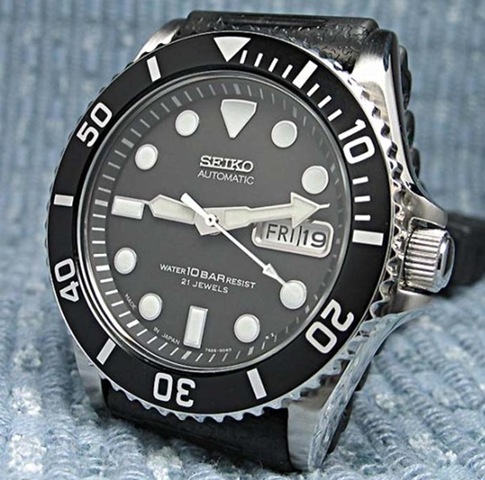 I’ve got one of the smaller of these Seiko Submariners, and while I am impressed with the look and feel of the watch (i wear it more than any other watch in my collection) it is really not the most durable as during a pool volleyball game the pin shot away from the bracelet, and I was left without a watch while vacationing in Margarita. Needless to say I had no choice but to snag a G-shock at the nearest mall, till I could get home to repair the little bugger. Fantastic watch though, looks a lot more expensive than it is, bracelet is a bit cheap and not tough but looks great with a suit. Any thoughts on the Invicta 8926c? I am interested in it, but after experiencing the phenomenal lume on my Seiko, and seeing that large Invicta engraving on the side of the casing, I am having second thoughts. The Seiko SKX031K was one of Seiko’s value-for-money gems but the company has decided to discontinue this model. It’s not often for a 100m water resistant sports watch that a locking or screw-down crown is fitted as one of its features. You can actually upgrade your Submariner by retrofitting the original hollow-link Oyster bracelet with the solid end link Super Oyster I bracelets from William Jean on eBay. As for Invicta watches, some people like them but Invicta has been known for ripping off some Seiko watch designs (notably the Monster divers and the Seiko SNA225P alarm chronograph models). Generally Seiko enthusiasts like poke fun at Invicta in the watch forums. I’m not a fan of Invicta watches, therefore I never took any interest in this brand. Hi, I had a seiko skx413, orange face in the old days in the caribbean, and I can’t find a replacement. Anyone know how to find one or maybe more realistic can I get a black face and replace it with the orange face and silver bezel? Your SKX413K is a rare model. It’s not marketed under the Seiko 5 line (otherwise you’ll see the “5” logo on the dial) and is a 100m W.R. sports watch with a diver’s watch styling. You can try contacting Coserv at custserv@seikousa.com. 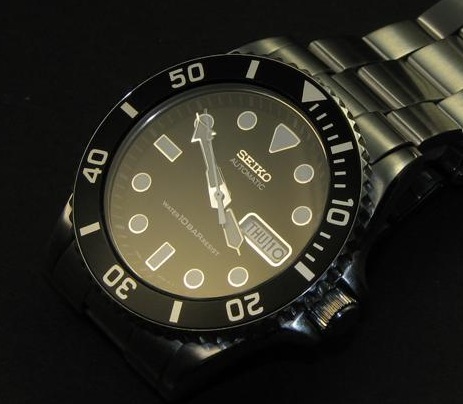 It’s Seiko USA’s service center which is located at Mahwah, New Jersey. They won’t sell replacement parts directly to the end customer but you can check with them if they have the Part No. 1624XY13 which refers to the orange dial. 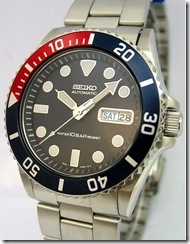 It’s best that you send your watch to an authorized Seiko dealer and have him order the dial for you. Got my pre-owned 031 sub and its a J, u know, w/ extra details in dial “21 JEWELS” and “MADE IN JAPAN”. Love it. Been hunting for it in the on-line pre-owned sellers for weeks. Also considering 007 but 031’s my 1st option. Congratulations! 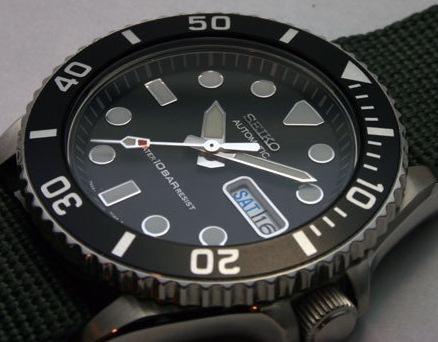 The SKX031K and SKX031J “Submariners” have been discontinued, with the made-in-Japan “J” version being pulled off the market many years earlier. IMO, there were more “K” versions made than the “J” ones, therefore you have a rare SKX031 with you. I’ve seen very, very few examples of the SKX031J while photos of the “K” version are plentiful. Your watch is likely to have been made between 1996 and 2000. As I recall I received it in the mid to late ’60’s but…I suspect you can confirm or deny my recollection. The watch is a DX 17 Jewels, Automatic, day, date, Model 6106-8207 SN: 0071120, with a dark green dial. There’s also a SMALL alpha-numeric code to the left and right of the “6” marker on the dial that reads “JAPAN 6106 -8239T. I guess that’s the dial’s ID. Yeah, it’s kinda old with visible scratches and looks as if not cleaned for decades. 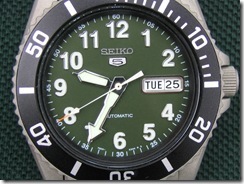 Planning to buy new bezel and insert in Seiko. The bracelet is not the original oyster,its a jubilee. will also replace it w/ Nato. 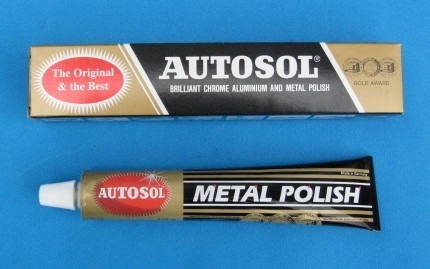 Wow, great to know that those scratches can still be fixed w/ that Autosol thing. Will find one as well soon. So maybe that jubilee bracelet is the orig one huh, but will likely replace it since its kinda messy, very old. A black NATO I think will best fit in the sub. Many thanks again Quartzi man!! Thanks for the very nice review. I got my SKX033K2 after reading them and moded with Yobokies’ Mercedes hands / sapphire crystal and William Jean’s Super Oyster. That’s great news. The SKX033K is the Pepsi bezeled version of the classic, black dialed and bezeled SKX031K and both have been discontinued. You’re lucky to find one and retrofit their original hands with the aftermarket ones from Yobokies (aka Harold Ng). William Jean’s Super Oysters are a godsend. Once you’re used to them, you’ll never want to revert to the original, cheaply made hollow link, Oyster bracelets. enjoy your SKX033K in good health! Q2: Is this a scratch resistant? Q3: Is this ok the model? I’m not sure if the SKX013K diver is still on production therefore there are two possibilities: your watch could either be from April 2011 or 2001. The only way to be sure is to open up the caseback and look at the oscillating weight. If it’s marked as “7S26A” then its an old stock from 2001. If it says “7S26B” then your watch is from 2011. There are no watches that are scratch resistant, so avoid scraping your watch against metal or concrete surfaces like pillars. The watch’s crystal is made from mineral glass and can be scratched if you’re not careful. 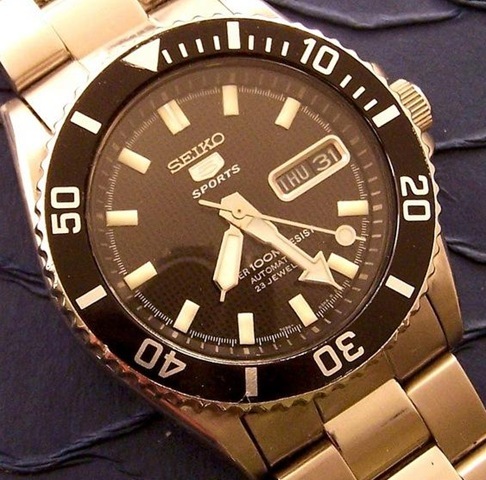 Yes, this is a good Seiko diver but it’s more of a boy’s size. Enjoy your new diver in good health! this is obviously a SKX013K but have you got any idea who the hands are made by? Who manufactures these gorgeous hands? Secondly, if I found these hands, do you know someone reliable who would modifiy my SKX013K for me? 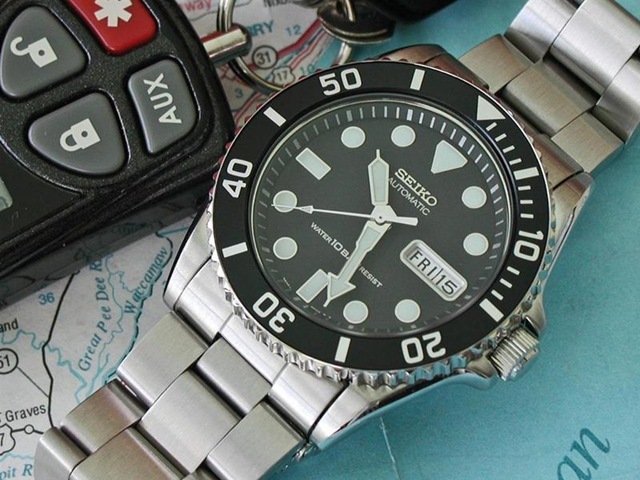 The Seiko watch as seen on the Flickr page is actually the SKX031K “Submariner” and not the SKX013K, which is a 200m boys’ sized ISO certified diver’s watch. I’ve never seen those custom made hands before, therefore I don’t know who makes or sells them. You’ll have to ask the person who photographed that customized SKX031K. GREAT review! everything I wanted to know about this watch in a nutshell! Bravo! I must know…I love the mod with the green dial with arabic numerals! What model watch did that dial come from? Thanks in advance. Thanks for the comments and I truly apologize for the late reply. 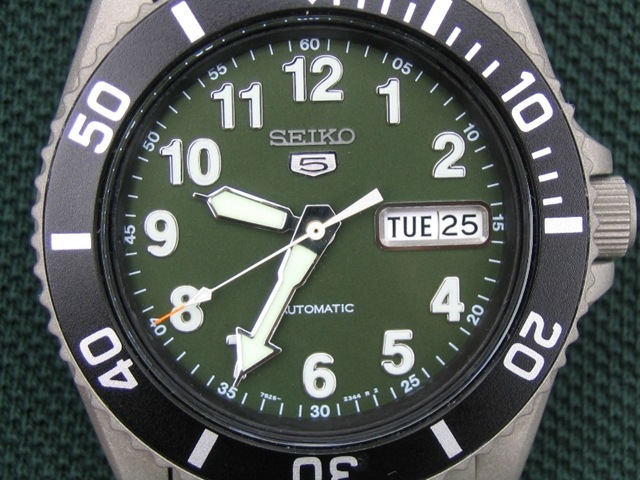 I browsed through my entire private image collection of Seiko watches and could not find a Seiko 5 with that exact dial as in the picture. I found several look-alikes (green dial, military style hour index) but not the actual one. I finally did an image reverse search and managed to locate the source where I got the modified green Submariner from. Note that the owner himself who posted the article couldn’t identify the original model where it came from. 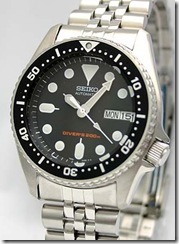 Since the post was made on May 2004, the Seiko 5 watch would have been an earlier model; perhaps from the late 1990s or early 2000s. There are other similar dials to that watch, e.g. the Seiko 5 SNX237K, SNK379K, SNX807K to name a few. The three models I mentioned are most likely to have been discontinued. Whilst window shopping at an old mall here in melaka, came across an NOS seiko sub 7s26 0050 K version (which i understand is the smaller version). Ask for the price after discount RM530. Check in the internet there’s one used J version for sale for RM400(all original except the bezel). From a collectors point of view, which one would you buy? Hope you can revert soon. I would suggest that you buy the NOS piece rather than a “J” variant which had its bezel replaced (especially with an aftermarket one). The SKX023K/025K isn’t exactly that popular as it’s a mid-sized watch and it isn’t a true diver’s model either. The “J” moniker carries no value from the collector’s standpoint. However, it surprised me to learn that the shop is asking RM530 for it because I once bought the Pepsi version (SKX025K) as a gift for just RM360 back in 2004. If it’s a truly NOS piece from that era, the retailer is making way too much profit, IMO. This watch comes with a cheap folded link bracelet (if not a 20mm rubber strap) and the average market price should be less than RM400.